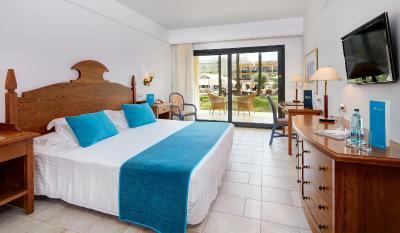 Mallorca Palace is located just 800 feet from Sa Coma Beach, on Mallorca’s east coast. It offers a spa, a fitness center and indoor and outdoor pools. 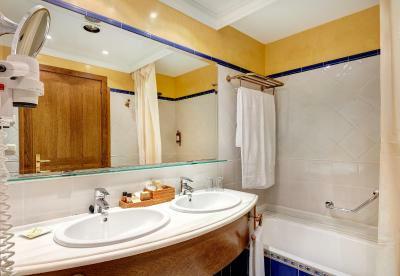 The spacious, air-conditioned rooms at Mallorca Palace feature satellite TV, a mini-bar and a private bathroom with a hairdryer. All rooms come with a private balcony or terrace. The hotel’s Sa Font Restaurant serves buffet breakfasts and dinners, and the Es Molí Restaurant offers à la carte options in high season. 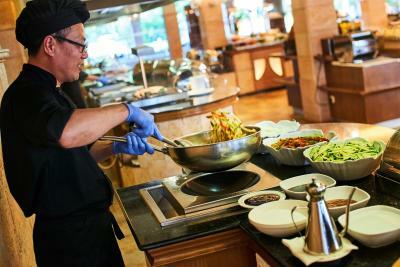 Show cooking is also available. 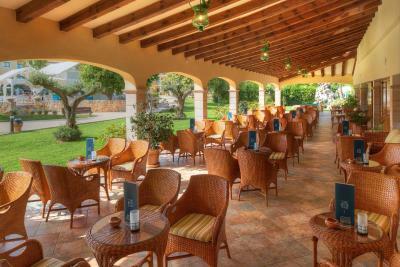 There are also 3 bars, including a poolside bar. Guests have free access to the sauna, Turkish bath and the indoor pool. Massages and other relaxation and beauty treatments are available for an extra cost. Discounts on green fees at local courses are also available. There are many charming beaches and coves along Mallorca’s east coast. 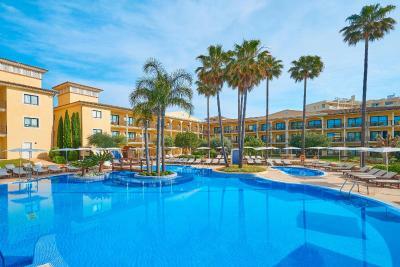 Central Palma and Palma Airport are around an hour’s drive away. 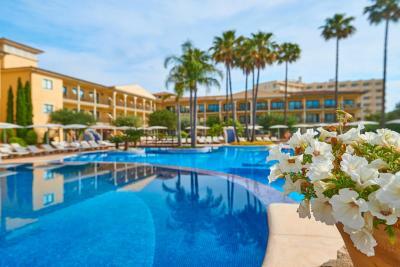 When would you like to stay at SENTIDO Mallorca Palace - Only Adults? This spacious, air-conditioned room features satellite TV, a mini-bar and a private bathroom with a hairdryer. All rooms come with a private balcony, except those on the ground floor which have a terrace. This extra-spacious, air-conditioned suite features a separate lounge with satellite TV and a mini-bar. The private bathroom comes with a hairdryer, bathrobe, slippers and a spa bath. It also has a large private terrace. 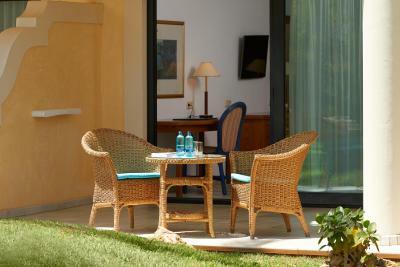 House Rules SENTIDO Mallorca Palace - Only Adults takes special requests – add in the next step! 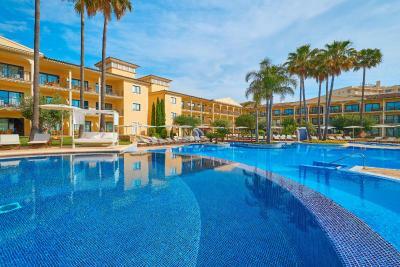 SENTIDO Mallorca Palace - Only Adults accepts these cards and reserves the right to temporarily hold an amount prior to arrival. 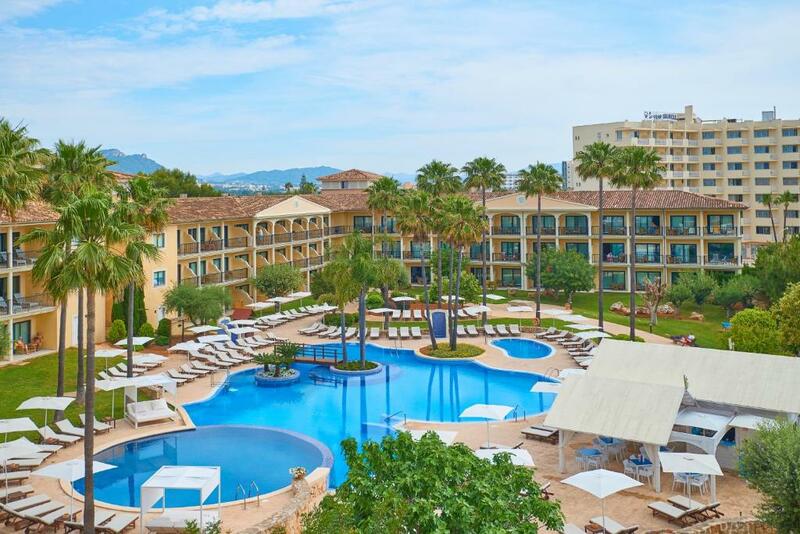 Please inform SENTIDO Mallorca Palace - Only Adults of your expected arrival time in advance. You can use the Special Requests box when booking, or contact the property directly using the contact details in your confirmation. We need at least 5 reviews before we can calculate a review score. If you book and review your stay, you can help SENTIDO Mallorca Palace - Only Adults meet this goal.